Autumn. There's just something about Autumn that I cannot help but love. I know so many people dread this change in season, but I, for one, get excited by it. The chilly mornings where you can see your breath in the air, the leaf-carpeted ground that has that satisfying crunch as you hurry over it and that golden glow those outer surroundings only seem to acquire during these months before it fades to Winter. 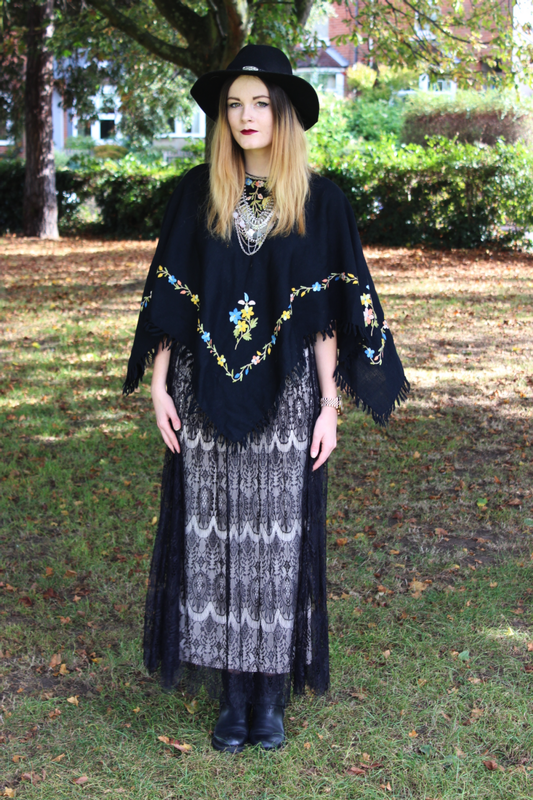 Oh, and the return of ponchos! 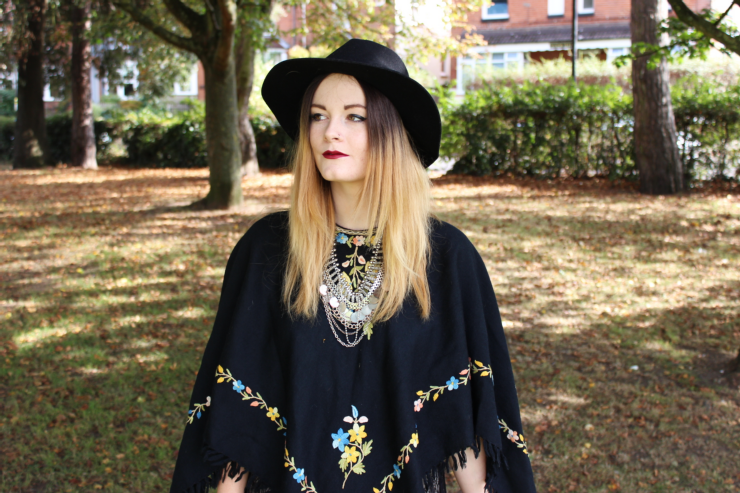 I bloody love ponchos. I remember a 'poncho-fad' that hit in the early noughties in where every kid on the block had a wooly poncho to wear to school (mostly likely purchased from Tammy Girl - oh, where are you now, Tammy Girl?! ), then as quick as they suddenly appeared as on trend they disappeared and were deemed as a bit tacky. My love for anything with an excess amount of material over the arm; anything that make me feel like I have wings is a winner! Ponchos are no exception. 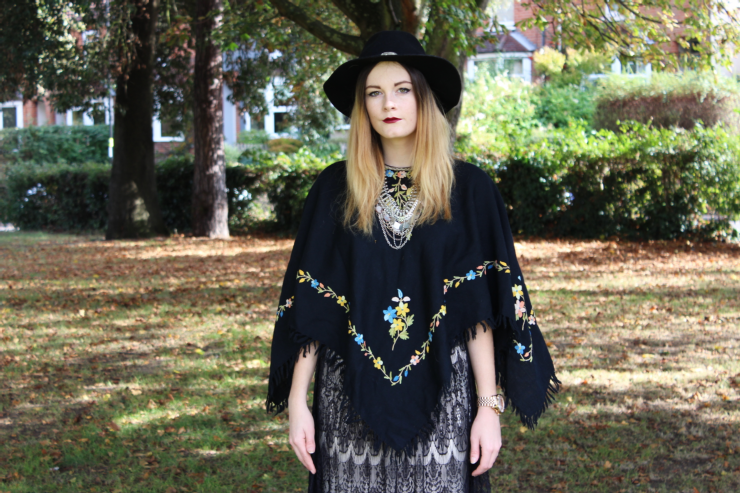 This beautiful, floral embroidered poncho was from a relatively new, start-up, independent vintage boutique, House of Bricks Vintage. Owned by sisters Georgia and Josie, House of Bricks is a haven for one-off, hand-picked pieces right from the swinging 60's up to the early 90's. Be sure to check out their most recent, candy-coloured lookbook here. Warning: You'll want everything. My Forever 21 obsession continues with this eyelash lace, maxi skirt (available here), which I absolutely had to own. It's only a little over £20 too, which is a bonus. Oh I remember the poncho faze aha! 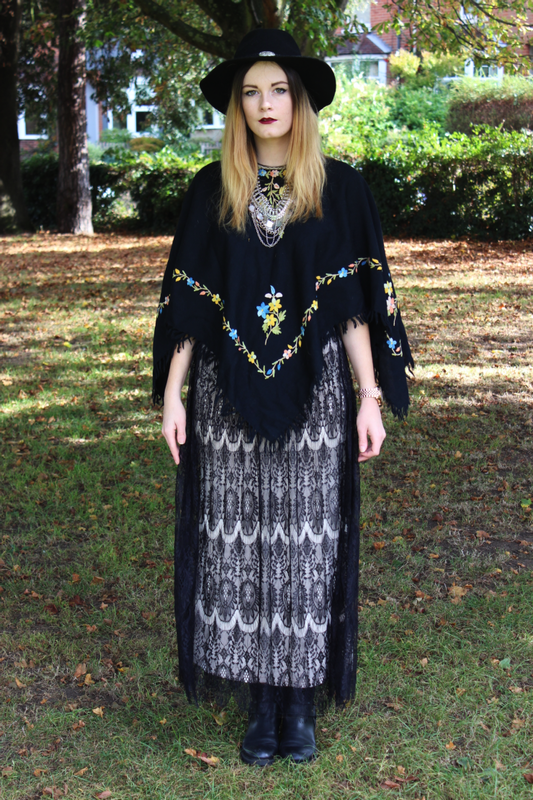 Really love your poncho here it's so pretty! 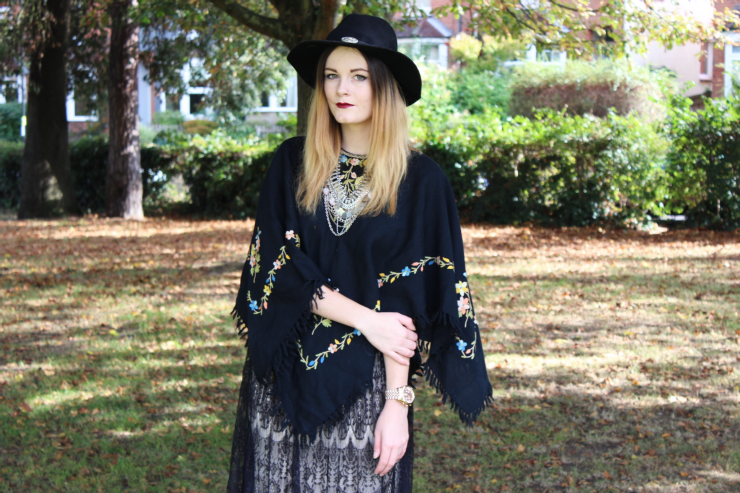 That poncho is amazing! I really love it!